Joe had been at Aberdeen, Celtic and back to Aberdeen before arriving at Tannadice in the summer of 1998. An Under-21 international, he featured regularly in the side for one season but was then released and spent time with Parramatta Power in Australia. Joe was born on this date in Glasgow. Nothing wrong with the start to the new season as we dominated and twice had the ball in the net. Unfortunately, the linesman and then the referee ruled both were offside to dent our confidence. Our biggest and most convincing win of the season. Even before we went ahead, we should have been two goals to the good! Kjell Olofsson prodded in the opener from fellow Swede Lars Zetterlund's pass to give us the lead. 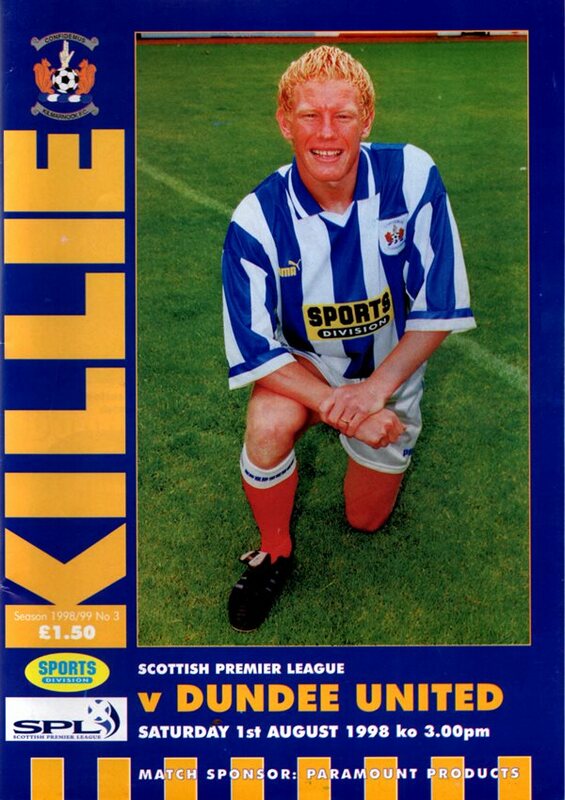 After Billy Dodds headed us in front nine minutes from the break, a whirlwind spell of three goals in as many minutes buried Aberdeen with Joe Miller, Kjell Olofsson and Billy Dodds all finding the net. Thereafter we cruised to our fourth win of the season over the Pittodrie men, recording our biggest win of the season. A highly disappointing derby from which we can have no quibble about the outcome. Irvine headed Dundee in front midway through the second half and Grady's second came in the very last minute. A header from Jason de Vos header which was cleared off the line by Miller two minutes from time was the only effort we had on target in the ninety minutes, illustrating the poverty of our performance.